You’re casually window shopping on the internet one day - in my case it’s usually a cute dress I don’t need. Your partner gently reminds you that you have 20 black dresses already and there are bills to pay. You sigh and close the browser, giving up on your superficial dreams.But the next time you log onto Facebook, something weird happens. Suddenly an ad for the exact dress you wanted pops up in your newsfeed. Is it a bizarre coincidence? Do Facebook have a team of psychic aliens tapping into your secret desires? Have they hacked your search history? Nope - you’ve just experienced Facebook retargeting. 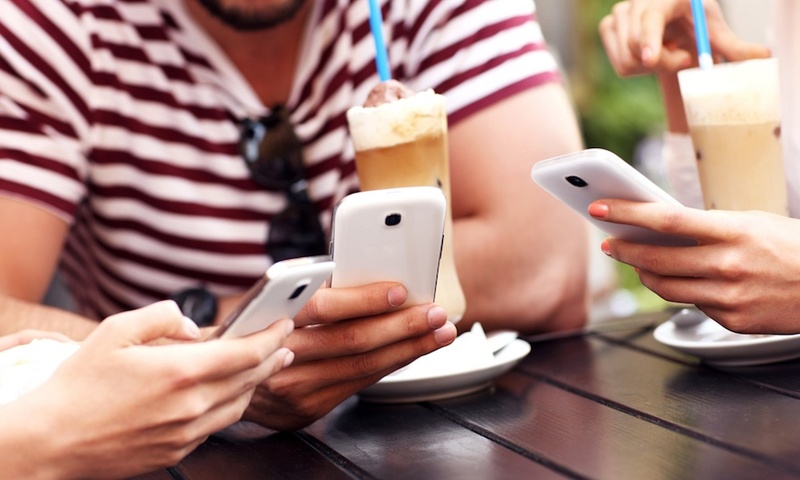 What exactly is Facebook retargeting? Facebook retargeting is when an advertiser places a small piece of code - called a pixel - on their website. This allows them to track your visits to their site, and then target you with related ads on Facebook. For the consumer, this means you're likely to experience more relevant ads on Facebook than ever before. This can be great if you're keen to buy or dangerous if your wallet is feeling the burn! Why is it such a popular marketing tool? Whatever kind of business you're running, Facebook retargeting is an extremely powerful marketing tool. This is because it allows you to target the ‘lowest hanging fruit’. Instead of paying through the nose to have your ads shown to everyone, you can directly target people who have already expressed interest in your business. This has a huge impact on the success of your ads. In fact, some experts have claimed that retargeted ads are 70% more likely to result in conversions. And while there’s a common misconception that retargeting only works for B2C, it’s actually incredibly effective for almost any kind of business. B2B companies, architects, engineers, designers - they can (and do) make excellent use of Facebook retargeting at a relatively low cost. This is largely thanks to Facebook’s recent simplification of its retargeting system. It’s powerful retargeting tools are cheaper and more accessible than ever before. Now even small, one person businesses with little technical know-how can jump onboard. Not to mention the fact that 20% of the global population are active Facebook users. Whatever your product or service is, you’re pretty much guaranteed to have a relevant audience on Facebook. Do you want people to sign up for a free trial of your IT software? Join your architecture newsletter? Contact your design agency? Ask for a building quote? 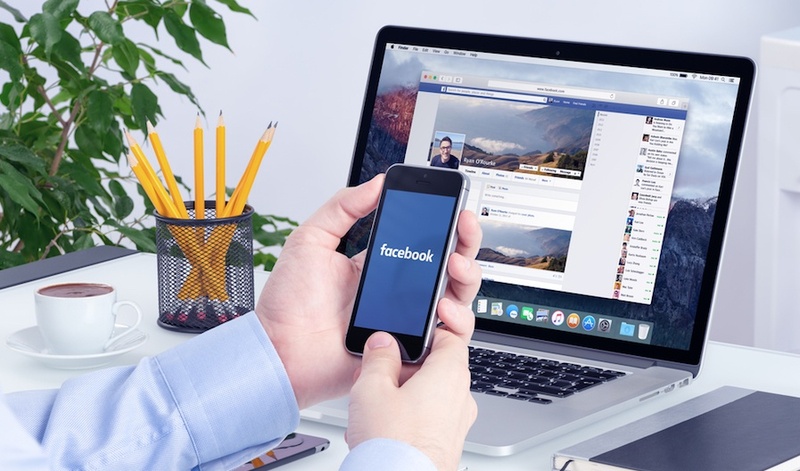 Facebook retargeting can be used to encourage all of these actions and more, nurturing your prospects through the marketing funnel from start to finish. You’re an IT provider offering free 2 week trials of your subscription service. 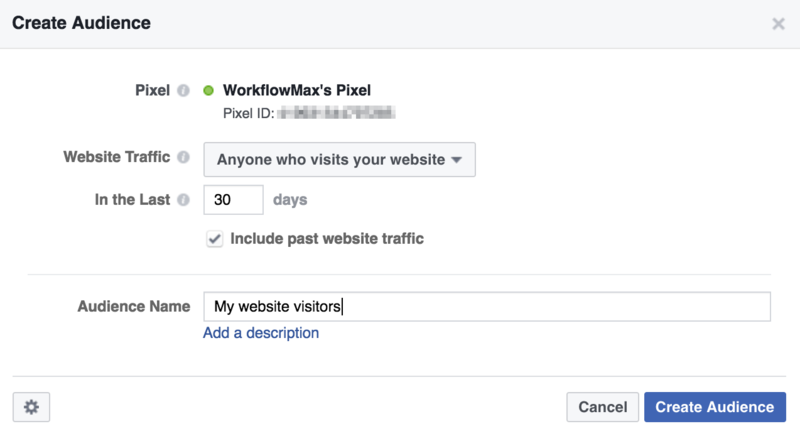 You can use the Facebook pixel to track people who visit your sign-up page, but navigate away before joining the trial. You can then target free trial ads specifically at those people who changed their mind (and exclude those who’ve already signed up). You’re a construction company. You decide to track people who visited the home renovations section of your website, but haven’t submitted an enquiry. You target them with adverts specifically showing completed home renovations, or an ad linking to a blog post about the joys of renovating. If they still don’t bite, you start delivering ads with a renovations discount code. You’re a creative design agency. Your slick website is generating a lot of traffic, but you’re not getting many leads. You track viewers of particular pages on your site (e.g. design, branding, copy examples) and create some downloadable eBooks dedicated to each topic. When they download your eBooks you collect their contact details and put them into a highly targeted email marketing workflow. Convinced yet? When used effectively Facebook retargeting lets you send the right message, to the right person, at the right time… The perfect marketing formula. Ready to get started? Facebook retargeting requires you to play with a little bit of code. But don’t be scared off. You certainly don’t have to be a programmer or super techy to figure this part out - and reading this official guide will help you do it. Once you’ve pasted the pixel code on your website, Facebook will start tracking visitors and matching them to their profiles on Facebook. You’ll then be able to create Custom Audiences based on their activities. This allows you to target ads towards people who visit certain pages on your website. By targeting visitors to specialised landing pages you can track specific campaigns. You can even target people who have failed to visit your website in a certain period of time (and reel them back in). More advanced users may want to experiment with pixel event codes. These allow you to accurately track people who take certain actions on your website - like completing a registration, filling out a form or initiating a checkout. Of course, you’ll need to allow for a little delay as Facebook needs time to compile your audiences. Depending on your web traffic you may want to wait a month or two for visitors to build up. There’s no point crafting ads only to target a handful of people. The obvious limit of remarketing is that you can reach saturation and run out of people to target, especially if your website doesn’t get a huge amount of traffic. This will be evident when your frequency (the number of times people see your ad) gets high. The simplest solution to this is using Facebook’s feature Lookalike Audiences. This means Facebook compiles a list of users based on data about your chosen Custom Audience. Facebook searches for people who share similar traits to those you’re already targeting - such as age, gender, location, job industry and interests. This means you can attract new people into your marketing funnel, based on characteristics that make them more likely to convert into paying customers. It’s an ingenious tactic and a nice compliment to the retargeting tool, especially if your existing audiences are starting to feel stale. Whether you’re a B2B business owner, architect, engineer, designer or construction manager, why not make 2017 the year you start using this amazing marketing tool? Don’t be scared of the learning curve, there are hundreds of resources jam-packed with useful information. Facebook Ad Custom Audiences: Everything You Need to Know 2017. Like the title says, pretty much all the information you could ask for. The Evolution of Facebook Remarketing by Jon Loomer. An interesting look at the development and refinement of Facebook retargeting, and how you can get the most of it. 5 Simple Steps to Create a Facebook Retargeting Campaign by Acquisio. 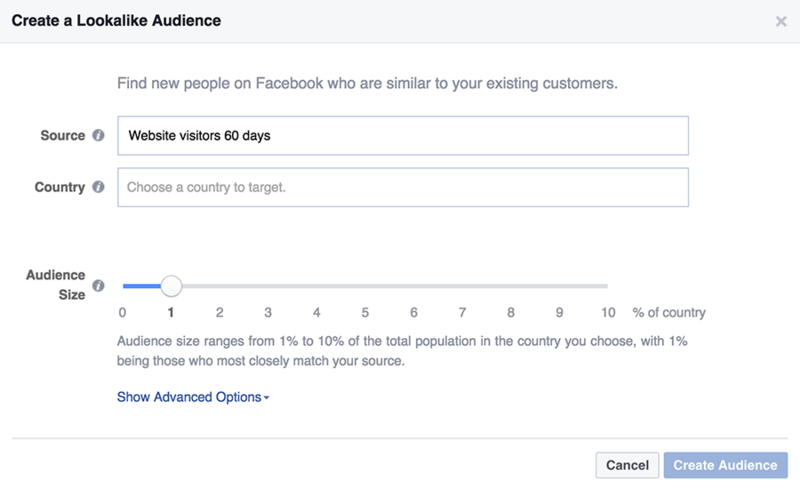 Easy to follow, step-by-step guide to getting started with Facebook retargeting. How to Boost Your Facebook Ad Results in Just 120 Minutes. For more advanced users, this is an excellent in-depth post offering techniques to tweak and boost results. Have you experimented with Facebook retargeting yet? We’d love to hear about your results.